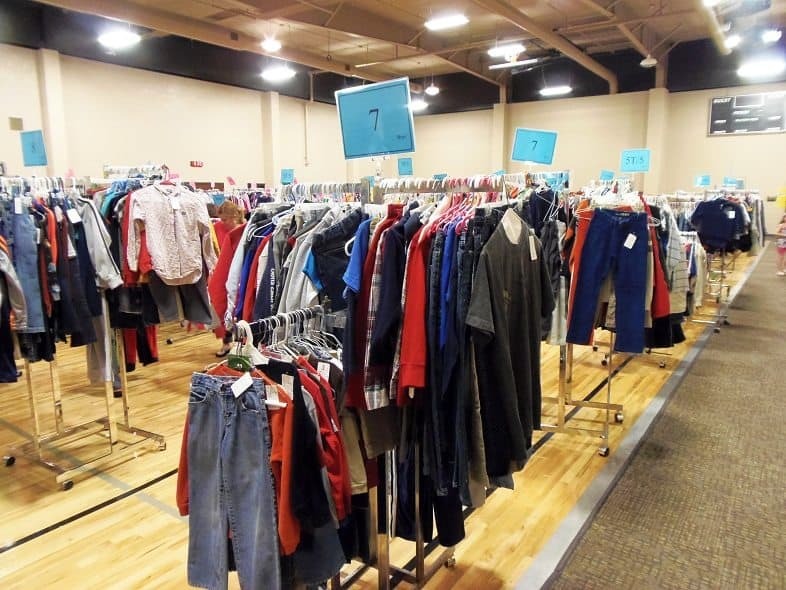 Participating in your first kids’ consignment sale, and not really sure how to price your stuff? I’m here to help you with that. Having participated in more consignment sales than I can count, I’ve learned a lot about how to price items for maximum sales and profit, and I’ve developed a pricing guide around what I’ve learned. 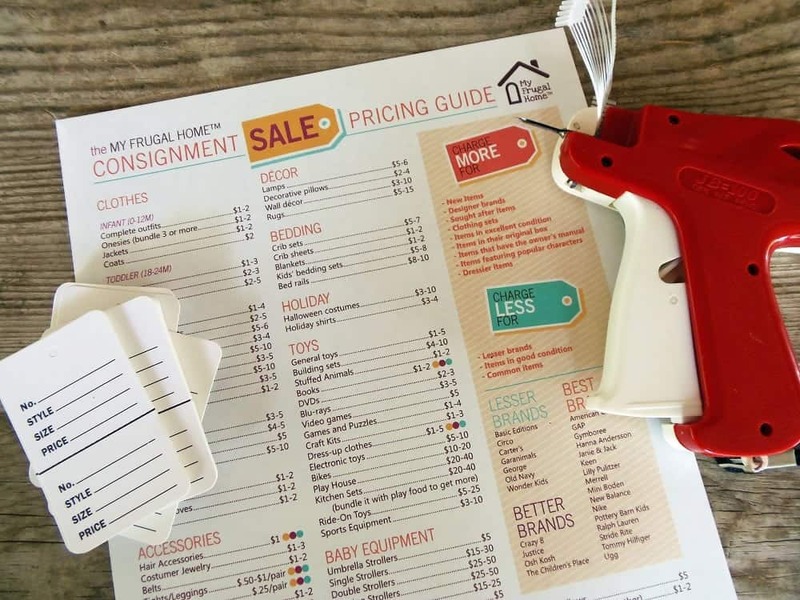 You can print my Kids’ Consignment Sale Pricing Guide here, but before you do, I’d like to explain a few things about my pricing strategy. Consignment sales get TONS of inventory, so don’t expect everything you bring to sell. Do an honest assessment of everything that gets returned to you at the end of the sale. If it’s a good brand and it’s in good shape, try to sell it in the next sale. If you think you may have overpriced something, adjust the price, so it sells next time. I don’t see the link to get a legible printout for this one? Hi Kara. It’s in the paragraph under the picture of the pricing guide. Look for the word “here” in orange. I live in TN. San Francisco would definitely have higher prices. When it comes to designer clothes, it’s really a matter of what the local market will bear, and certain labels are going to be a bigger deal in some areas than others. If you can find a sale to go to before the one you’re participating in, I’d recommend going to scope out what’s typical for your area. I usually put red dots on all of my better brands, so they won’t be included in the half off sale on the final day. Hi! I run a children’s consignment event in NC. We are trying to come up with a new pricing guide for our consignors. We came across yours and we were just wondering if you would mind sending us yours to use? Or maybe we could use part of it? We just thought … why start from scratch when there are so many good ones out there! Your blog is so cute, by the way! Hi Jacqui, You’d be welcome to share a link to the price guide with your consignors. Hi, I am starting a pop up consignment sale in NY. 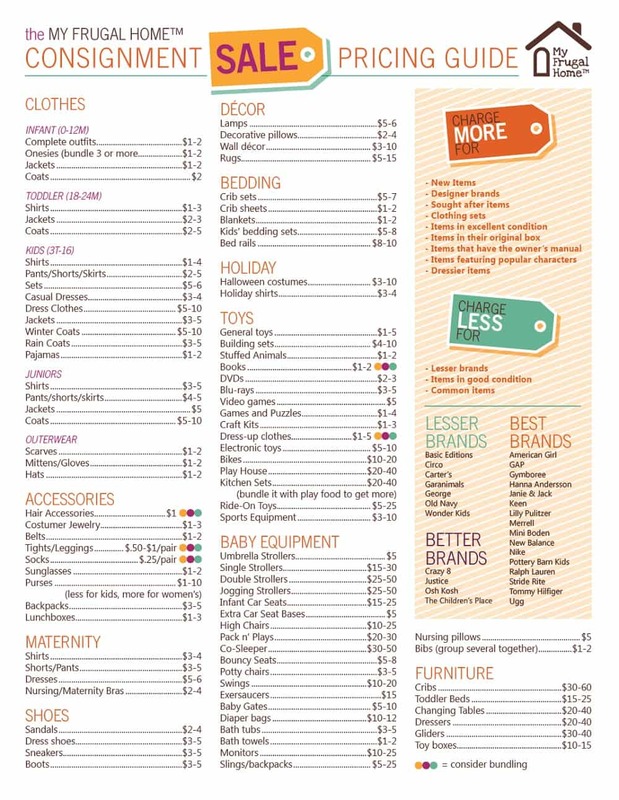 I was wondering if I could post your consignment sale pricing guide on my website. If you could let me know, I would appreciate it. 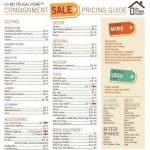 You’re welcome to print a link to my consignment sale pricing guide on your website.